Breaking Rocks was drawn on the beach at Ty Croes, near Aberffraw, Anglesey, yet it references Nelson Mandela’s work breaking rocks in the quarry on Robben Island during his 27-year incarceration. The pebbles were collected on this beach overlooking Cribinau Island which is a tiny tidal island on which St Cwyfan, fondly known as “The church in the sea”, has withstood the elements since 1294. 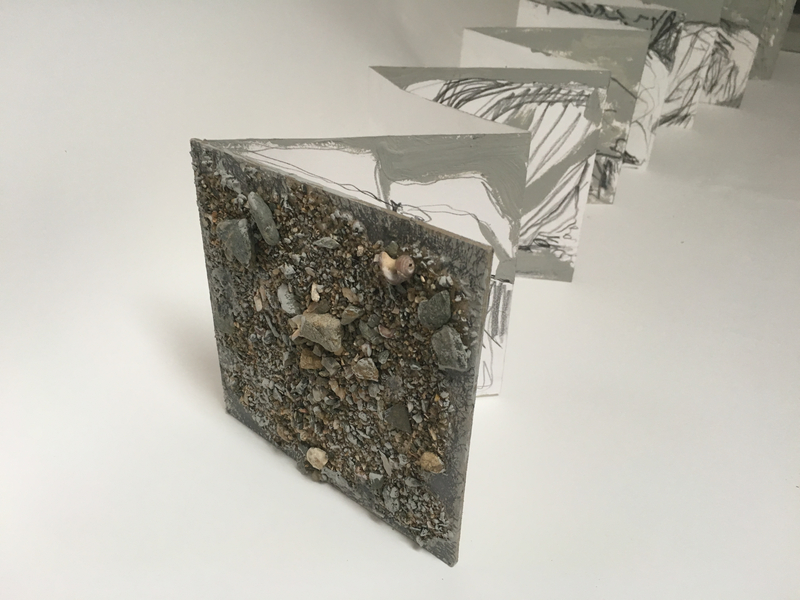 15 x 15 cm, 14 page concertina book, board, pebbles, glue, household paint and pencil.